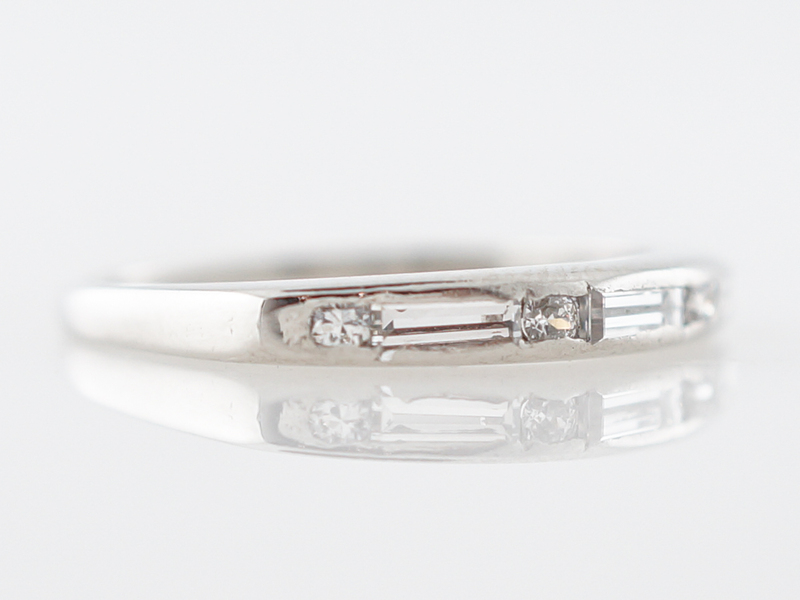 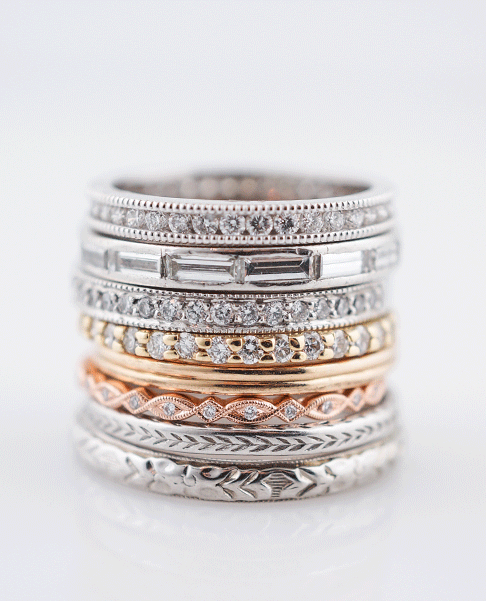 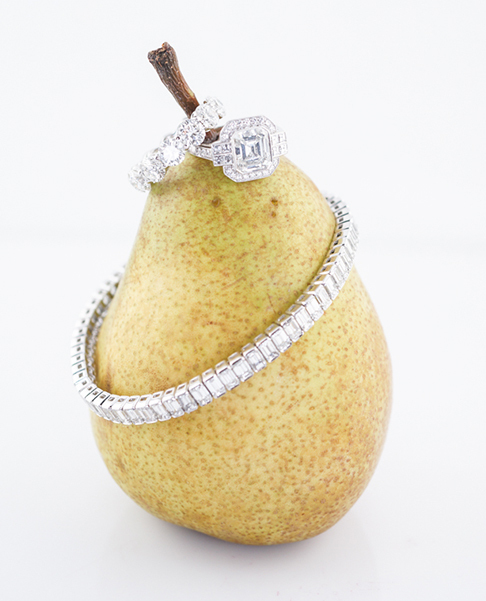 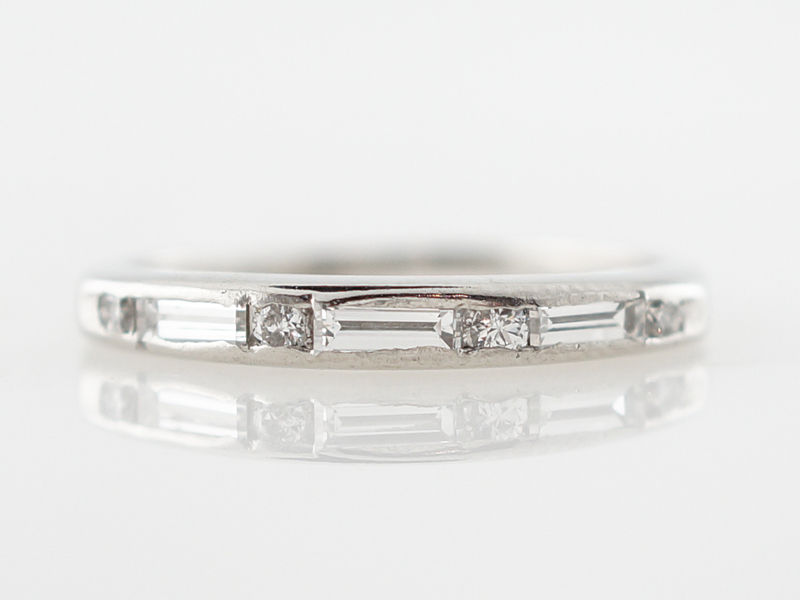 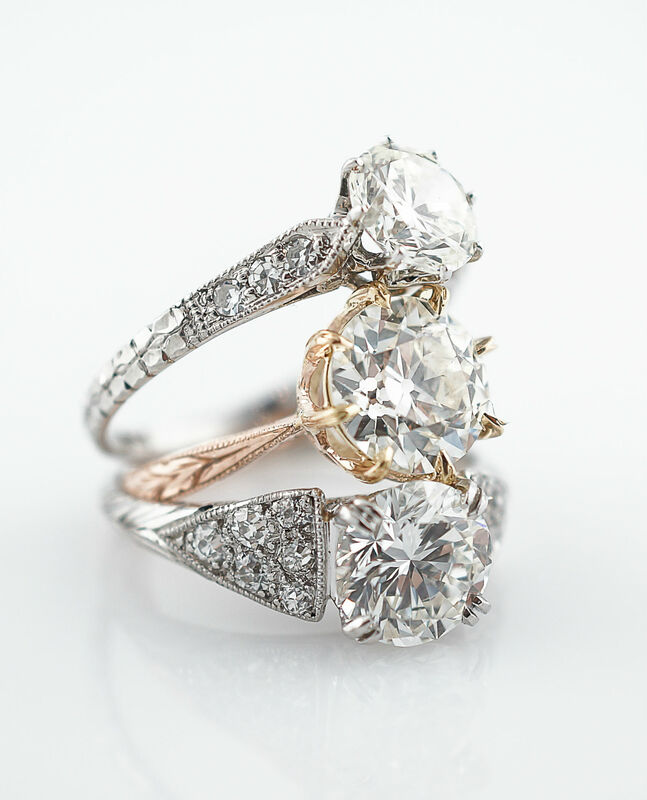 This original vintage art deco wedding band features baguette and single cut diamonds. 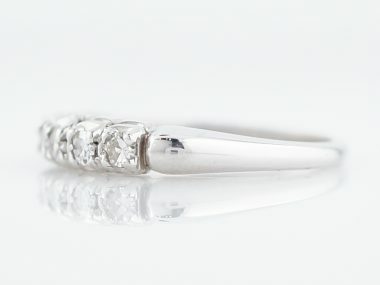 The baguette cut stones are set end to end and are interspersed with the round cut diamonds, giving the ring a unique look and lots of sparkle. 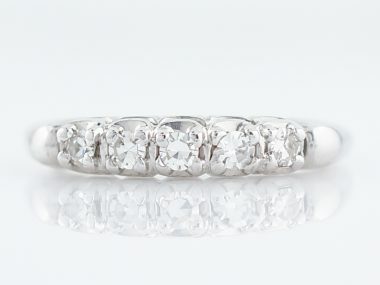 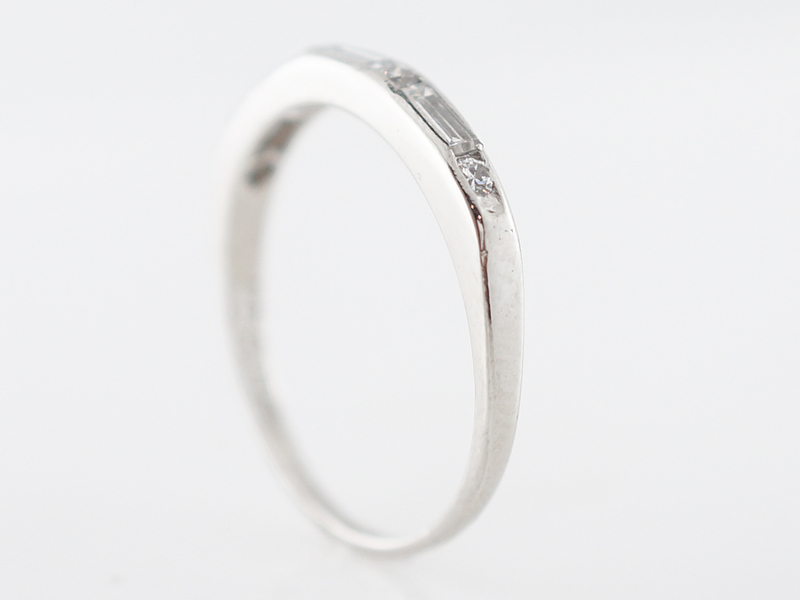 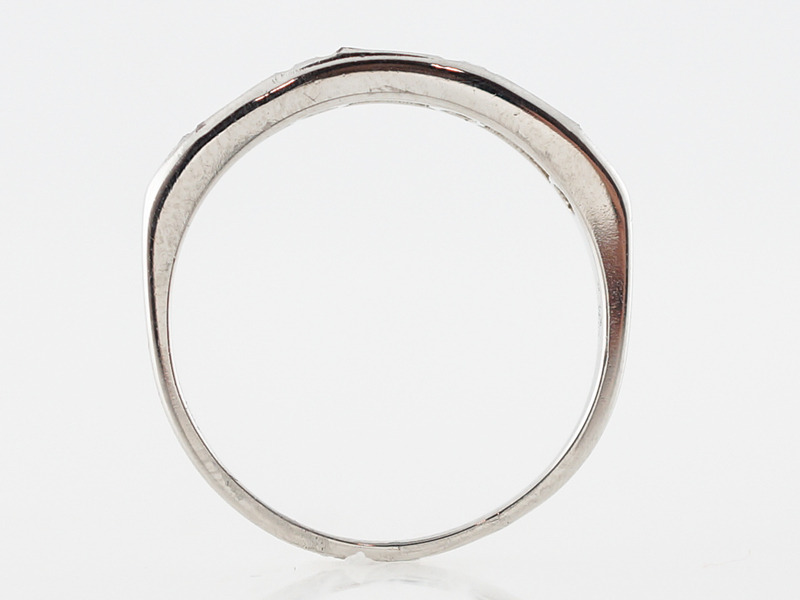 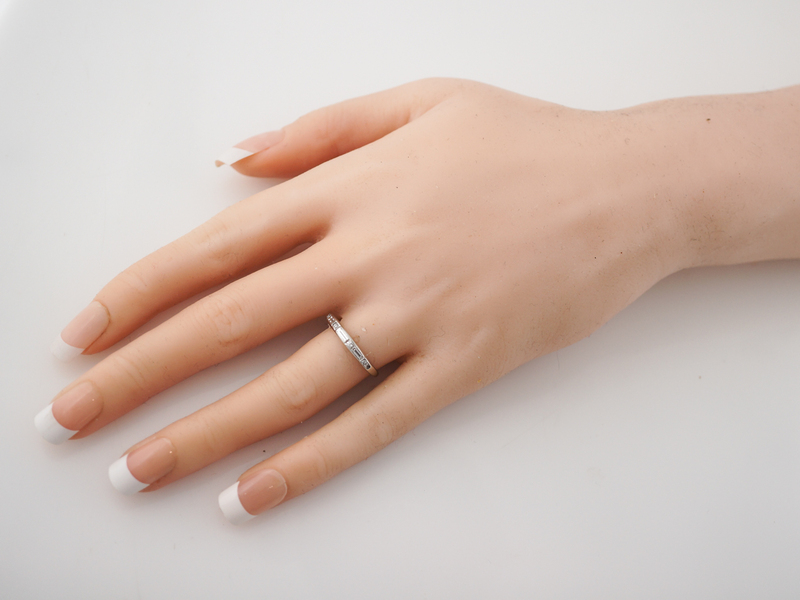 Finished in platinum, this beautiful ring would pair well with most vintage engagement rings!